This January, with the help of East Shore food bank organizer Ryam Hill, the high school youth group harnessed their efforts to collect food bank donations. At the end of each month, Ryam takes donations to the Hopelink food bank, weighs them out, and keeps track of East Shore’s giving. For the month of January, she invited the high school youth group to focus its efforts on the food bank. Non-perishable food items, as well as a list of other sundry items, were collected throughout the month. In all, 262 pounds of food were collected and donated! Tangible, time-framed projects are a great way to involve children and youth in service learning projects. The youth group also participates in the Giving Tree donations and Guest at Your Table Program, offering some of their yearly budget to these staple East Shore program. Amanda Uluhan works with ministry teams to help make these projects viable for the high school youth group. Please connect with her with your ideas. During January, with the focus on the food bank, the high school youth group discussed food inequity and hunger in Washington and King County and aspects of sharing, generosity, and abundance. The group talked about the redistribution of resources, and worked on making tangible weekly goals to support their collection efforts. 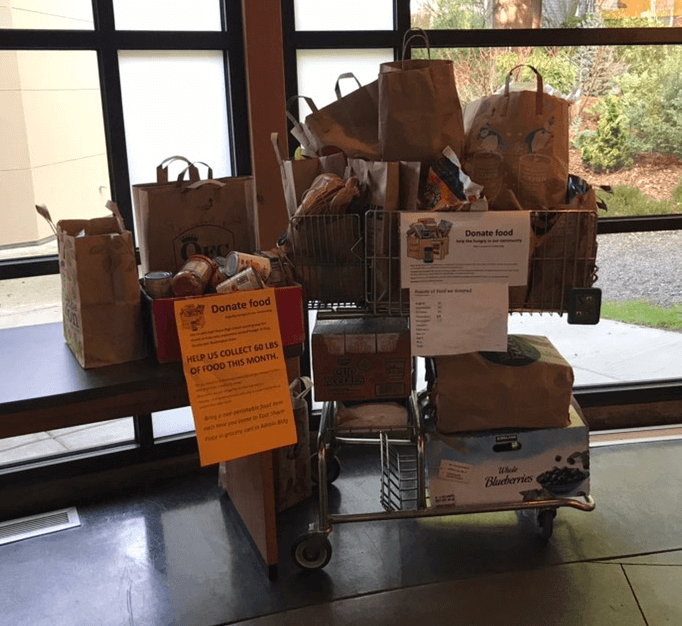 All of the food was donated to Hopelink Food Bank, right in Bellevue, Wa. Hopelink Food Bank provides emergency and supplemental food to families and individuals; ensuring access to fresh, healthy, nutritious and culturally appropriate meals. In 2017, Hopelink provided a total of 2,065,422 meals, with 13,740 clients receiving food assistance. 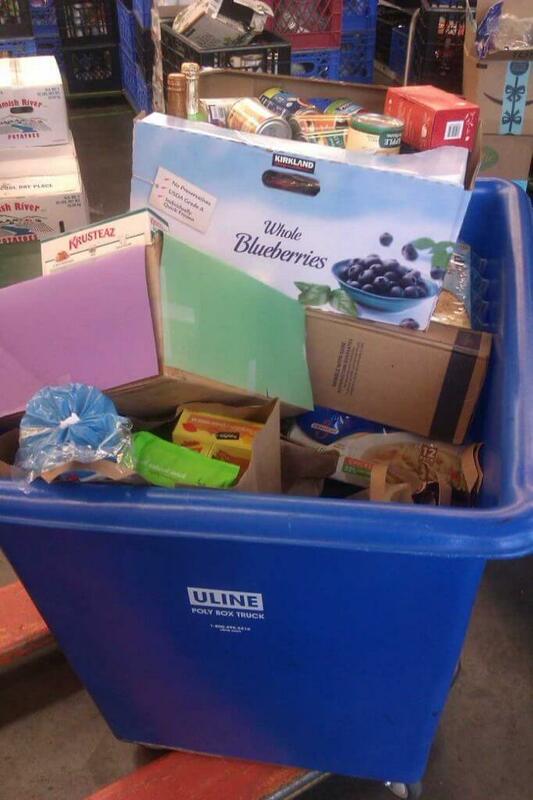 Please remember, the cart is always available to drop off non-perishable food items for Hopelink. It can be found in the Administration building. Please remember to bring food any time you come to East Shore to add to the grocery cart in the Admin Bldg. Or if you are part of a team or other group, you can host the cart for a month as the Youth did. Questions? Contact Ryam@techmesa.com. Thank you!